The controversy over Gov. Thomas Hutchinson’s Thanksgiving proclamation in 1771 caused particular trouble in Boston’s largest meetinghouse, the Old South. The Rev. John Hunt, a 1764 graduate of Harvard College who had grown up in Northampton. The Rev. John Bacon (shown above), a 1765 graduate of Princeton College who had grown up in Canterbury, Connecticut. But then Blair got back in touch, and church committees spent several more months settling with him. That meant the new team of Hunt and Bacon wasn’t installed until 25 September. A month later, Gov. Hutchinson issued his holiday proclamation. Boston’s Whigs started to organize congregations into pressing their ministers not to read it, aiming their efforts for 10 November because by custom ministers in Boston shared such announcements two Sundays before the Thanksgiving. But on 3 November, with Hunt home in Northampton, Bacon read that proclamation at Old South. [Bacon] being a Stranger in the province, & having been settled but about Six Weeks, performd the servile task a week before the usual Time when the people were not aware of it, they were however much disgusted at it. It is said the Worshipping Assembly at the Old South Church, whose Pastor had so prematurely as well as unexpectedly in the Absence of his senior Colleague, read the Governor’s Proclamation with the exceptionable Clause, stopped after divine Service was ended Yesterday, and express’d their great Dissatisfaction at that Part of the Rev. Mr. Bacon’s conduct. The “senior Colleague,” Hunt, was actually younger and had fewer years as a minister than Bacon, though he had graduated college a year earlier. The 25 November Gazette ran a longer commentary on the controversy at Old South. The Thanksgiving holiday had already passed, but printers Edes and Gill said that the letter had been left at their office the previous week when they didn’t have space in the newspaper. Mr. Bacon desired the brethren of the church and congregation to stop after divine service was ended, in order (as is usual before our anniversary thanksgiving) to vote a collection for charitable and pious uses; after which a motion was made, the import of which was to consider whether our public thanks should be agreeable to the tenor of the exceptionable clause in the Proclamation; not a word was said in the meeting about Mr. Bacon’s conduct. It is generally supposed (and I have reason to think justly) that Mr. Bacon being a stranger, and not having been informed of the usual time of reading the proclamation, conceived a propriety in its being read as soon as might conveniently be done after it came to hand. Nor do I know of any reason that can be given why it is not as proper to be read three Sabbaths before the day appointed for publick thanksgiving, as two; especially as custom is various in this respect. It seems to be represented as a great piece of imprudence in Mr. Bacon to presume to read the proclamation in the absence of his Senior colleague. As to the terms Junior and Senior, I think them hardly worth mentioning, and I hope our kind Pastors will never be disposed to contend for the chief rooms, or who shall be the greatest. . . . The essay was signed “S.C.” Those were the initials of the Rev. 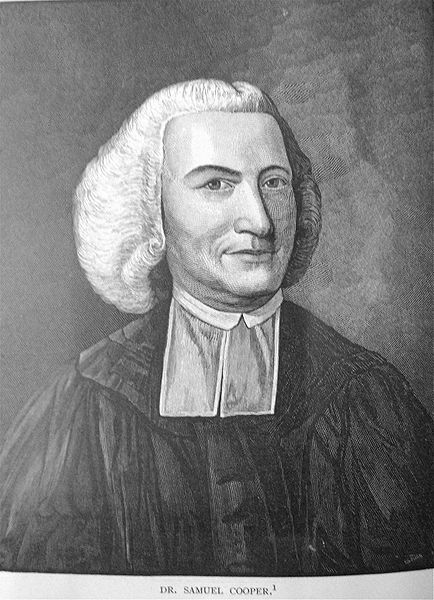 Dr. Samuel Cooper of the Brattle Street Meetinghouse, one of Boston’s most respected and politically active ministers. Did Cooper write this letter to exonerate Bacon? Did someone else borrow his initials to do so? There’s no way to know, but it’s notable that in his detailed letter on the Thanksgiving controversy Cooper claimed that the Rev. Ebenezer Pemberton was the only Boston minister to read the proclamation, shielding Bacon. Bacon didn’t have a long tenure at Old South. The church dismissed him in February 1775 after the congregation had come to dislike his theology and preaching style. He moved to Stockbridge, took up the law, and entered politics, eventually serving one term in the U.S. House of Representatives. As for Hunt, he died back home in Northampton in December 1775. Which meant that after the siege ended, Old South had to look for a permanent minister again. That process took until 1779. The Proclamation “read in our churches last Sunday”? The Rev. Dr. Samuel Cooper no doubt had an inside view of the Boston Whigs’ efforts to organize political resistance to Gov. Thomas Hutchinson and his 1771 Thanksgiving proclamation. The Governor’s Proclamation for an Annual Thanksg., was to have been read in our churches last Sunday, in w’ch among other things, we are call’d upon to give thanks to Heav’n for the Continuance of our Privileges. This was deem'd by the People an open Insult upon them, and a prophane Mockery of Heav’n. The general cry was, we have lost our Most essential Rights, and shall be commanded to give Thanks for what does not exist. Our congregations applied to the several Ministers in Town praying it might not be read as usual, and declaring if we offer’d to do it, they w’d rise up and leave the Ch[urc]h. And tho no little Pains was taken by the Governor’s Friends to get over this Difficulty and to explain away the sense of the clause by saying all were agreed we had some Privileges left, and that no more was meant by the Public Act than such Privileges as we in Fact enjoy’d, all w’d not avail. Had the Ministers inclined it was not in their Pow’r to read it, a circumstance w’ch never before [took] Place among us. It was read only in Dr [Ebenezer] Pemberton’s Church, of which the Governor is a Member. He did it with confusion, and Numbers turn’d their Backs upon him and left the Chh in great indignation. We hear the Proclamation which has given so much Offence to the good People of this Province, was read in no other Congregational Church in this Town than the American Manufactor’d Doctors, which gave so much Uneasiness to his Hearers, that many of them took their Hatts and walk’d out while he was reading it. Pemberton’s honorary doctorate in divinity had come from Princeton College rather than one of the prestigious universities in Britain. It was I believe thro want of attention, and an opportunity of consulting one another, read by a Majority of Ministers in the Country Parishes. One Association of the Clergy happening however to meet at the Time, agreed to reject it: and it has been read by few Ministers, if any who have not declar’d either their Sorrow for so doing, or that they read it as a public Act, without adopting the Sentiments: and that it is their intention on the appointed day, w’ch is next Thursday, to give Thanks for the Privileges we enjoy, and implore of the Almighty God the restoration of w’ch we have lost. One of the Reverend Ministers in this Town in reading the Proclamation for a Thanksgiving, last Sunday, omitted the Clauses which recommend the offering up Thanks for a Continuance of our civil and religious Privileges, and an enlarged Commerce. I am well informed that there is a proclamation issued forth by authority, appointing the next Thursday to be a day of public Thanksgiving. I would therefore earnestly request that the inhabitants of this place would assemble on said day, to render the utmost tribute of praise to our Divine Benefactor, for the mercies which we REALLY enjoy, through the unmerited bounty of his providence. Not forgeting, at the same time to bewail the loss of those Previledges of which we are deprived by our fellow men, through his permission; upon which it will manifestly appear that our rejoicing ought to be with trembling. That last line was a reference to Psalms 2:11. The Rev. Joseph Sumner of Shrewsbury added the words “some of” before “our rights and privileges.” The copy of the proclamation photographed for the Early American Imprints microfiche includes that insertion (as shown above), so it might be the Shrewsbury copy, or someone else may have made the same change. Boston also had three congregations in the Church of England, and their ministers usually supported the royal government. But they didn’t read the governor’s words. As Samuel Adams wrote, “it has not been customary ever to read” Thanksgiving proclamations in Anglican churches. That was a Puritan holiday, and Anglicans reserved their celebrating for Christmas. TOMORROW: The controversy at Old South. By law, Gov. Thomas Hutchinson’s Thanksgiving proclamation for 1771 was supposed to be read out by the ministers of all the meetinghouses in Massachusetts. That’s why the colony commissioned Richard Draper to print the proclamation in broadside. Those sheets were distributed across the province. The four weeks between the proclamation and the holiday left time for the announcement to reach the far corners of British settlement. Those weeks also gave the Whigs time to organize resistance. As I noted last week, the first sign of opposition was Boston’s most radical newspapers not printing the governor’s proclamation. But the real battleground would be in the province’s pulpits. We are informed that the ensuing Thanksgiving affords matter of more serious thought, and general conversation than any thing of the king that has yet happened in New-England. Is it not amazing indeed, that the Governor should recommend it to the ministers and their congregations to return thanks to Almighty God, that he has been pleased to continue to them their civil and religious privileges? It is said some of the clergy have already come to a resolution to leave out that extraordinary clause, as they cannot in conscience carry on such a solemn mockery before their people; and many gentlemen of character have declared, that in case their ministers should read it as it stands in the proclamation, they will immediately depart the meeting. It is full time to put off that false and dangerous compliance, which can only encourage our enemies to make farther experiments of what we will bear. We can assure the public, that a number of the members of one of the Worshiping Assemblies in this town, waited upon their Reverend Pastor yesterday,…and that their minister expressed his hearty concurrence with them in sentiment, and declared that he should omit reading the Proclamation. A second reverend clergyman has declared, that it is against his conscience to offer up such an insult to the Deity, and shall therefore read no part of the proclamation. We have authority to say that a number of the Rev. Pastors of the CHURCHES in this town, are determined, not to offer up on the day of our Thanksgiving, the solemn mockery recommended to them by Mr. Hutchinson in his proclamation, “for continuing to us our civil and religious privileges” which he well knows are RAVISHED from us. It is hoped the Clergy in the country will follow the laudable example. The favours of providence are innumerable, and it is among the first of them that we unanimously agree, to resist TYRANNY. Let us be unfeignedly thankfull for them all, and in sincerity express it on that day. 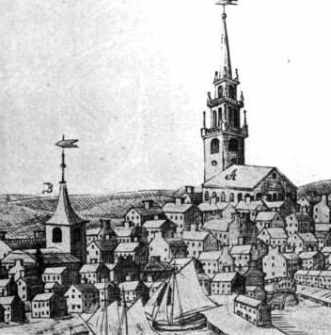 The Boston Whigs of course had the most influence in Boston and nearby, and the merchants in Massachusetts’s smaller ports shared many interests with the Bostonians. But most of the province still consisted of country farming towns, and they had never been as militant about London’s new measures. TOMORROW: How well did that campaign work? Back in 2009, Ray Raphael contributed a “guest blogger” posting here about his book Founders, which traces the history of the Revolution through seven individuals. 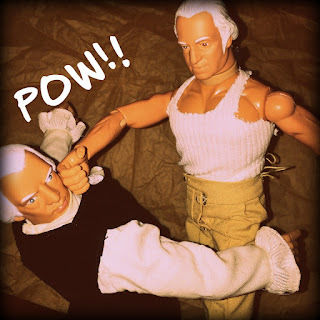 Ray wrote: “One of the characters is a given: George Washington. There is absolutely no way we can tell the larger story of the war and the nation’s founding without him. We know this. But who else?” That question prompted a couple of days of discussion of candidates. 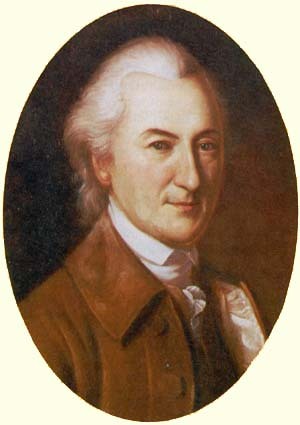 Lord George Germain, Secretary of State for North America from November 1775 to February 1782. Cornplanter, war chief of the Senecas starting in the French and Indian War. Abraham Yates, shoemaker, lawyer, and politician. Margaret Coghlan, daughter of British Maj. Thomas Moncrieffe. Venture Smith, former slave and father of a Continental soldier. Coghlan brings some scandalous glamour to the project since she and Aaron Burr were reportedly an item early in the war and she later became a courtesan in London. In Revolutionary Ladies, Philip Young presented evidence that Coghlan died years before her Memoir was published, suggesting that at least some of its tales were fraudulent. Shorto argues instead that Coghlan faked her death and fled to Paris. So that’s interesting right there. Shorto will present Revolution Song at the Massachusetts Historical Society on Thursday, 30 November. The event will start with a reception at 5:30 P.M., and Shorto will speak and sign books starting at 6:00. Registration costs $10. I’ve been considering Gov. Thomas Hutchinson’s Thanksgiving proclamation in 1771, one of the many bones of contention in Revolutionary Boston. Hutchinson’s own account may have been accurate in the basics but it wasn’t in all details, so I’m doubling back into other sources, starting with the newspapers. On 17 October the Boston News-Letter, the paper closest to the royal government, reported that Hutchinson would name 21 November as the holiday. The Monday papers, most in opposition to the governor or neutral, repeated that news. People wanted early notice to plan for the holiday. In 1765 Brattle (shown above) had marched with Ebenezer Mackintosh against the Stamp Act. He was one of Gov. Francis Bernard’s biggest thorns on the Council. In the 1770s he moved closer to the royal prerogative party, eventually sealing his fate as a Loyalist by setting off the “Powder Alarm” of 1774. But in 1771 Brattle might have sincerely still felt he was a Whig and that his colleagues should be pleased by the new governor acknowledging traditional liberties in traditional phrasing. Hutchinson probably liked the idea of reestablishing normalcy. The governor’s final text went to Richard Draper, the printer with the contract from the province and Council to issue such official announcements as broadsides. Draper also published the News-Letter, and the proclamation appeared in that newspaper on 24 October. The Boston Evening-Post, Boston Post-Boy, and Essex Gazette of Salem ran the text on their front pages the following week. Notably, Gov. Hutchinson’s proclamation didn’t appear in Edes and Gill’s 28 October Boston Gazette or in either 24 October or 31 October issues of Isaiah Thomas’s Massachusetts Spy. Those were the most radical newspapers in Boston. Their printers appear to have made a choice not to give any space to the governor’s proclamation. Those newspapers ran another item of Council business instead—Hutchinson’s complaint about the Gazette publishing an essay by “Junius Americanus” (the Virginia-born London lobbyist Arthur Lee) that called province secretary Andrew Oliver a “perjured traitor.” The Spy also published another in a series of essays signed “Mucius Scaevola,” this one complaining about the governor, the Customs Commissioners, and Secretary of State Hillsborough all at once. TOMORROW: The Whig objections to Gov. Hutchinson’s language. In the last, posthumously published volume of his History of Massachusetts, Thomas Hutchinson claimed that “the continuance of civil and religious liberties had constantly, perhaps without exception, been mentioned” in royal governors’ Thanksgiving proclamations. Therefore, in using that language in his 1771 proclamation, Hutchinson said he was merely following tradition. So any objections to his phrasing had to be an artificial controversy. But what does the historical record say? Gov. William Shirley’s Thanksgiving proclamation for 1754 [all these proclamation links lead to P.D.F. files] and Lt. Gov. Spencer Phips’s for 1756 do indeed include some variant of the phrase about civil and religious liberties. But in 1761, coinciding with the ascension of George III, the writs of assistance case, and the emergence of political opposition under James Otis, Jr., Bernard stopped including language about Massachusetts’s liberties. No such phrase appeared in the governor’s Thanksgiving proclamations for 3 Dec 1761; 7 Oct 1762, celebrating war victories; 9 Dec 1762; 11 Aug 1763, for peace; 8 Dec 1763; 29 Nov 1764; 5 Dec 1765; 24 July 1766, for the repeal of the Stamp Act; 27 Nov 1766; 3 Dec 1767; and 1 Dec 1768. In August 1769, Bernard left the province. Thus, contrary to what Hutchinson the historian wrote, in 1771 Hutchinson the governor didn’t simply use language that “had constantly, perhaps without exception,” appeared in Thanksgiving proclamations. He returned to a tradition that had last prevailed over a decade before—a decade in which a lot had changed in Massachusetts politics. Yesterday I shared the 1771 Thanksgiving proclamation issued by Gov. Thomas Hutchinson (shown here). It quickly became a source of controversy. It had been a long, uninterrupted practice for the governor, as soon as harvest was over, to issue every year a proclamation for a publick thanksgiving, and, among the enumerated publick mercies, the continuance of civil and religious liberties had constantly, perhaps without exception, been mentioned. The proclamation, by advice of council, was issued this year in the usual form. After the people of the province had been prepared for such an attempt by the publick newspapers, a number of persons, in the character of a committee, attended upon the ministers of Boston, to desire that they would not read the proclamation to their congregations. One had read it; the rest, one excepted [the Rev. 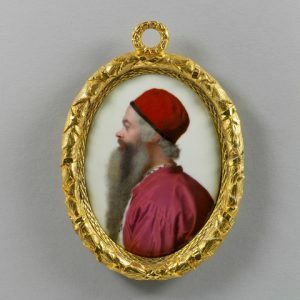 Ebenezer Pemberton], complied with the desire of the committee. There was not sufficient time to prepare the ministers of the country towns. Some, however, declined reading it; and some declared in the pulpit, that if the continuance of all our liberties was intended, they could not join in giving thanks. It having been the constant practice to read such proclamations in all the churches through the province, a more artful method of exciting the general attention of the people, which would otherwise, for want of subject, have ceased, could not have been projected. Hutchinson thus presented the objections to the phrase “the continuance of civil and religious liberties” as an artificial controversy, ginned up by the Whig political faction to attack him. And it’s true that 1771 had been a quiet year. With no troops stationed in Boston and most of the Townshend duties repealed, Samuel Adams was having trouble finding ways to demonstrate the imperial government’s overreach that resonated with the people. But Hutchinson overstated his case as well. TOMORROW: Examining the Thanksgiving record. By tradition, the royal governor of Massachusetts proclaimed a day of Thanksgiving in the province every autumn, usually in late November or early December. On 23 Oct 1771, Gov. Thomas Hutchinson followed that ritual, announcing that 21 November would be a Thanksgiving. This was the first year he could issue that proclamation as governor rather than as lieutenant governor acting in the absence of a governor. I HAVE therefore thought fit to appoint, and I do, with the Advice of His Majesty’s Council, appoint Thursday the Twenty-first day of November next, to be observed as a Day of Publick Thanksgiving throughout the Province, recommending to Ministers and People to assemble on that Day in the several Churches or Places for Religious Worship, and to offer up their humble and hearty Thanks to Almighty GOD, for all the Instances of his Goodness and Loving-kindness to us in the Course of the Year past; more especially for that He has been pleased to continue the Life and Health of our Sovereign Lord the KING—to increase His Illustrious Family by the Birth of a Prince—to succeed His Endeavours for preserving the Blessing of Peace to His Dominions, when threatned with the Judgment of War—to afford a good Measure of Health to the People of this Province----to continue to them their civil and religious Privileges—to enlarge and increase their Commerce----and to favour them with a remarkably plentiful Harvest. AND I further recommend to the several Religious Assemblies aforesaid, to accompany their Thanksgivings with devout and fervent Prayers to the Giver of every good and perfect Gift, that we may be enabled to shew forth his Praise not only with our Lips, but in our Lives, by giving ourselves to his Service, and by walking before Him in Holiness and Righteousness all our Days. AND all servile Labour is forbidden on the said Day. That proclamation sparked a province-wide controversy with committees of protest, newspaper essays, ministers refusing to read the proclamation from their pulpits as written or being criticized by their congregations if they did. Can you tell what was so controversial about Gov. Hutchinson’s wording? 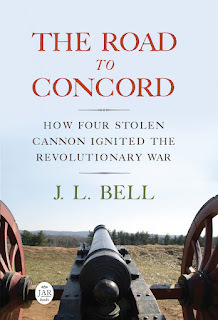 On Tuesday, 28 November, I’ll speak about The Road to Concord to the Marlborough Historical Society. The town of Marlborough pops up multiple times in the story that book tells, starting with how it reportedly sent both infantry and mounted militia companies to the “Powder Alarm” on 2 Sept 1774. I expect a warmer welcome in Marlborough on 28 November. My talk is scheduled to start at 7:00 P.M. in the Little Theater of Marlborough High School, 431 Bolton Street. I’ll bring copies of my book for purchase and signing. Edward Griffin Porter’s Rambles in Old Boston (1886) quotes this letter sent to the private teacher John Leach in Boston. It offers a glimpse of radical politicians in London and of the Boston Whigs’ attempts to make common cause with them. The writer was the London printer John Meres (1733-1776). He had inherited the Daily Post newspaper from his namesake father, who had gotten in trouble multiple times for printing news the government didn’t like. The younger Meres followed in the family tradition. I had the Pleasure of receiving your political Creed accompanied with the Presents, the One agreeable to my Sentiments, the Other to my Fancy. Your Letter I presented to Mr. [John] Wilkes, who read it with much Satisfaction; desired me to leave it with him & begg’d I would present his best Respects to you unknown & hoped there were many of the same Opinion as yourself; it was shown to Mr. Serjt. [John] Glynn [shown above], the only worthy Member [of Parliament] for the County of Middlesex, who thought it rather too dangerous for the Press except the Inflamatory Paper I now publish entitled the Nh. Briton, the Government having after a serious of Insults upon the People deprived me of printing The London Evening Post, & that Paper is now become the tame Vehicle for Ministers and their Ductiles. The Duke of Grafton promised me in private that nothing should be done prejudicial to me or my Interest, but are Jockeys Words to be taken? but alas! our Ministry consist of few others than that class—but to return. Mr. Wilkes has been three Times elected Member for the County of Middlesex & was refused his seat in any House (except the King’s Bench). He was chosen by the Inhabitants of the Ward, Alderman for Farringdon Without (the largest in the City), in which I reside; the Court of Aldermen would not swear him in; the Inhabitants rechose him, Ditto, so that the Ward being without an Alderman, the Inhabitants will not pay the Taxes, not being properly represented & the Ward Books not signed by Mr. Alderman Wilkes. I remain, your Lovg. Cozn. The 103rd issue of the North Briton, dated 22 Apr 1769, says it was “Printed for W. BINGLEY, at the King’s-Bench Prison, and sold by J. MERES, in the Old Bailey.” The issue dated one day before this letter indicates that William Bingley was out of jail and back at his shop in the Strand. By then Meres was not only selling the latest issue but all back issues as well. The magazines didn’t say who did the actual printing, but Bingley spent two years in prison without trial and is usually credited as the publisher of the magazine. However, at least to his cousin in Boston, Meres claimed in May 1769 to “now publish” the North Briton. 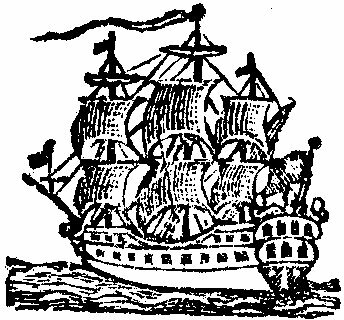 John Meres had two sons who became teen-aged Royal Navy officers during the Revolutionary War. For the last couple of days I’ve quoted newspaper accounts from October 1738 about a violent uprising of Wampanoag people on Nantucket that not only never happened but was, contrary to the first reports, never even planned. In the winter 1996 issue of Historic Nantucket, later adapted in his book Away Off Shore, Nathaniel Philbrick discussed another apparent account of the same fear, preserved in the Nantucket Historical Association’s archives. This story was set down in 1895 by Eliza Mitchell, then close to ninety years old. She recorded a story she remembered hearing as a child in the 1810s from another woman who had then been about the same age—thus putting the origin of the tale in the 1730s. As the girl and her older brothers and sisters changed into their night clothes and tightened their beds, there was a sound at the front door. It was their father. He was clearly agitated and yet was trying desperately to remain calm, announcing that mother “need not retire or undress the children.” When asked why, he simply said that “there was trouble brewing with the Indians.” But all of them, especially her brothers and sisters, demanded to know more. Reluctantly, her father explained: The day before, an Indian had come into town and “carefully, though very privately” told of a secret plot by the two tribes to attack the English settlement and take over the island. Even though the character of the Indian informant was somewhat suspect, the town officials were inclined to take the warning seriously. When you lived on an island that was a three-hour sail from the mainland (in ideal conditions), you were not about to dismiss even the wildest rumor. It was time for the men to search the darkness for Indian war parties. All night they patrolled the treeless moors in the swirling mist, their eyes and ears straining for some indication of the Indian bands their imaginations inevitably placed behind every rise of land and within every hollow. But by daybreak they had found nothing. Exhausted, they returned to town and made their report. The next day, the town’s sheriff and “fifty well-armed men” set out to determine, if possible, the “meaning of it all.” Instead of finding the Indians in the midst of a war dance, “they found all quiet.” It was harvest time, and the Indians were “merrily husking their corn.” When they learned about the white people’s fears, the natives were deeply disturbed and demanded to know who had told them this false story. As it turned out, the informant had spent the last three days in a drunken stupor, having used the money the English had paid him to purchase rum. According to the old woman, the Indians were “so highly incensed [that] they came near tearing him apart.” Eventually it was decided that he would receive no less than thirty lashes (the limit allowed by colonial law) at the town’s whipping post. Mitchell went on to describe the punishment, saying it was the last public whipping on the island. This story fits the mold of what I call “grandmothers’ tales”—historic stories we hear as children and never doubt, even though the original storyteller might not have meant them to be taken literally. Some of our best legends get into print that way. In this case, however, the story matches some important aspects of the earliest Boston News-Letter report of the conspiracy: a single Native man alerting the white settlers on Nantucket, prompting a brief but consuming fear “wholly contradicted” a short time later. According to Mitchell, the man initially hailed in Boston as “an honest Indian Fellow” ended up being whipped for lying. The Nantucket tradition that Mitchell wrote down suggests that the island’s British people truly were afraid of a Native uprising around the start of October 1738, enough to gather their women and children and organize patrols. With those “conventions” about uprisings already established, local whites could have sensationalized their fears themselves. Draper might have accurately reported the news that mariners from Nantucket brought to Boston. Or newspaper reports and local gossip could have built on each other in a spiraling account. Yesterday I quoted items from the Boston News-Letter of 5 Oct 1738 and the Boston Evening-Post of 9 Oct 1738 about a narrowly averted uprising of Wampanoags on Nantucket Island, and ongoing fears that the Native sailors on whaling ships might have risen up, too. This Report arose by a drunken Indian Woman of that Island being in Liquor reported such Things, and she and another Woman was brought before a Justice of the Peace and examin’d, an could make nothing of it but a drunken Story. Other Boston newspapers ran the same correction, as did papers in Newport and Philadelphia that had printed the first story. But of course not everyone saw that second item—especially decades later. 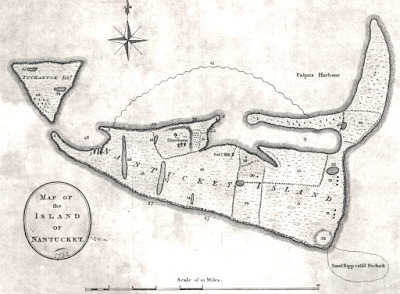 As Justin Pope describes in his recent article, “Inventing an Indian Slave Conspiracy on Nantucket, 1738,” later historians found the initial report but not the refutation. Obed Macy’s 1835 The History of Nantucket and Alexander Starbuck’s 1878 History of the American Whale Fishery both used the News-Letter article as their authority for describing an actual Wampanoag uprising. So, for that matter, did Peter Linebaugh and Marcus Rediker’s The Many-Headed Hydra, published in 2000. Except that Linebaugh and Rediker looked more favorably on that alleged bid for freedom. That reflects a larger ongoing debate among historians about whether slave uprisings in the New World were actual attempts by people to free themselves or imagined plots by paranoid slaveholders who coerced confessions from innocent people. The answer to that question offers different pictures of enslaved communities—as resistant rebels or as oppressed victims. If a single drunken Indian woman could come up with a plot and a completely plausible justification so compelling that it terrified an entire island of English colonists and was reported up and down the Atlantic seaboard, even though there were no fires on Nantucket that fall, the degree of panic inspired by actual fires like the ten that blazed in New York in March and April 1741 is hard to imagine. TOMORROW: A memory of the fear on Nantucket. We hear from Nantucket, That there has been lately a horrid Scheme conceiv’d by the Indians of that Island, to set Fire to the Houses of the English Inhabitants in the Night, and then to fall upon them arm’d, and kill as many as they could. But the Execution of this vile Design was happily prevented by an honest Indian Fellow, whom they could by no means seduce to join with them in so desperate an Undertaking, but gave Timely Notice to the Inhabitants thereof, who accordingly keeping upon their Guard, the Indians have desisted. As several of those Vessels are not arrived tho’ long expected; and as the greater Number in the Crews were Indians, the Consequence thereof is much to be feared. Upon the Discovery of the Plot, the English took to their Arms, and stood on their Defence, which discouraged the Indians from making any Attempt upon them; and we are impatient to hear whether their whaling Vessels are return’d in Safety, and what Measures have been taken to secure the Peace and Safety of the Island. The “Nantucket conspiracy,” as Pope calls it, is also a cautionary tale for historians who rely on newspaper reports for their accounts of life in colonial America, Pope says. . . . 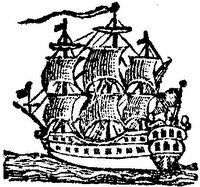 The 1738 newspaper story began as a rumor that “would have passed into local lore if not for the newspaper men of Boston,” writes Pope. It began with printer John Draper, who first reported the account in his Boston News-Letter on Sept. 28, 1738. That issue of the newspaper is actually dated 28 Sept–5 Oct 1738 on its front. That means it was printed and distributed on 5 October, collecting news that had arrived since 28 September. …the Boston News-Letter story “took off,” Pope writes. Newspapers on both sides of the Atlantic ran with the story, which soon became the 18th century equivalent of a viral social media post. “Draper’s story made for good copy,” Pope adds. “Within a week, his rivals in Boston had copied his version of the conspiracy verbatim,” writes Pope. Within two weeks, printers John Peter Zenger in New York City and Benjamin Franklin in Philadelphia were running the story. But that wasn’t the final word. Jefferson: Architect of American Liberty is a new biography of the third President by John B. Boles, a professor of history at Rice University. He was co-editor of the essay collection Seeing Jefferson Anew. “Jefferson: Architect of American Liberty” is perhaps the finest one-volume biography of an American president. Boles…has spent many years studying Jefferson’s native American South in all its mysteries, contradictions, follies and outrages, as well as its unique contributions to the national culture and literature. This biography is the culmination of a long, distinguished career. I admire it so passionately that, almost 2 1/2 years into a happy retirement, I had no choice except to violate my pledge never again to write another book review. Boles will speak at the Massachusetts Historical Society this Thursday, 16 November. The event will start with a reception at 5:30, followed by the author’s remarks at 6:00 and book-signing to follow. The cost is $10 per person, free for M.H.S. members and fellows. Reserve a seat through this page. On 11 Nov 1769, a young clerk on the island of St. Croix wrote to his friend Edward Stevens, who had headed off to King’s College in New York. As to what you say respecting your having soon the happiness of seeing us all, I wish, for an accomplishment of your hopes provided they are Concomitant with your welfare, otherwise not, tho doubt whether I shall be Present or not for to confess my weakness, Ned, my Ambition is prevalent that I contemn the grov’ling and condition of a Clerk or the like, to which my Fortune &c. condemns me and would willingly risk my life tho’ not my Character to exalt my Station. Im confident, Ned that my Youth excludes me from any hopes of immediate Preferment nor do I desire it, but I mean to prepare the way for futurity. Im no Philosopher you see and may be jusly said to Build Castles in the Air. My Folly makes me ashamd and beg youll Conceal it, yet Neddy we have seen such Schemes successfull when the Projector is Constant I shall Conclude saying I wish there was a War. The clerk who wrote this letter was Alexander Hamilton. He was either twelve or fourteen years old at the time; on reaching North America he consistently stated that he was born in 1757, but some earlier documents from the Caribbean suggest he was born in 1755 and thus revised his age in college to appear to be more of a prodigy. Whichever age Alexander was at this time, his letter is remarkable for its frank ambition. Earlier this year the Library of Congress made its Hamilton Papers available online, as explained here. This 1769 letter, for example, can be viewed here. Another source of new perspectives on Hamilton is Michael E. Newton’s blog Discovering Hamilton, which will roll out new documents and theories over time. A couple of months back, the Oxford University Press blog ran an extract from Kevin J. Hayes’s George Washington: A Life in Books discussing the first President’s school days and early reading. Further evidence shows that at one point in his education Washington did attend school with other boys. Friend and fellow patriot George Mason mentioned to him a man named David Piper, whom he described as “my Neighbour and Your old School-fellow.” Like Washington, Piper would turn to surveying once he left school, becoming surveyor of roads for Fairfax County. He was also something of a bad boy. Piper was repeatedly brought to court on various civil and criminal matters. Together Washington and Piper could have attended school at the Lower Church of Washington Parish, Westmoreland County, where Mattox Creek enters the Potomac River, but there is no saying for sure. The story of Washington’s education is shrouded in mystery. His school exercises indicate what he studied inside the classroom and out. They show him mastering many different subjects, learning what he would need to make his way through colonial Virginia whether that way took him down a deer track or up Duke of Gloucester Street. Some of the exercises are dated, revealing that this set of school papers as a whole ranges from 1743 to 1748, that is, from the year Washington turned eleven to the year he turned sixteen. 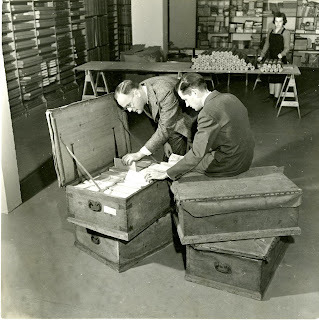 Other evidence demonstrates that he continued his studies beyond the latest exercises in the manuscript collection. Altogether the exercises and the books Washington read during his school days reveal his early literary interests, his fascination with mathematics, and the genesis of his career as a surveyor. Washington became curious about poetry in his youth, as two manuscript poems that survive with the school exercises reveal. When he first read these poems, he transcribed them to create personal copies he could reread whenever he wished. His copies reveal Washington’s ambition to excel in penmanship, and their texts shed light on his state of mind at the end of adolescence. I’m not convinced about that last interpretation. A big part of a gentleman’s education in the eighteenth century was learning elegant handwriting, and boys learned that by copying models provided or written out by their teachers. These poems, which appeared in The Gentleman’s Magazine in 1734 and 1743, might therefore have been handwriting exercises, with their content mattering less than their form. Plodding Through the Presidents is Howard Dorre’s ongoing blog about reading Presidential biographies, starting with Flexner’s Washington: The Indispensable Man and getting as far as, well, Andrew Jackson. So the important ones, really. The Monroe Doctrine, in Unger’s words, “declared an end to foreign colonization in the New World and warned the Old World that the United States would no longer tolerate foreign incursions in the Americas.” It basically told Europe to stay out of the western hemisphere, and it still has impacts on our foreign policy today. Not only does he make a wildly contrarian claim, but he also shits all over most historians in the process. And his main point seems to be that only a president could write the Monroe Doctrine – certainly not John Quincy Adams, even though he became president just a year later. Three years after publishing his Monroe biography, Unger released John Quincy Adams. His thoughts on the Monroe Doctrine’s authorship seem to have magically evolved, as if he cared more about lionizing whoever his subject was than being consistent. So, according to Unger, it’s ludicrous to think John Quincy Adams “authored” the Monroe Doctrine but he did “write” it. And even though it was based on Adams’s own political philosophy that Monroe embraced, the doctrine was entirely Monroe’s and not Adams’s. There are also postings drawn from other books, inquiries into Presidential myths and mysteries, and personal history, such as how Dorre’s interest in serial killers spurred him to investigate J. Q. Adams’s childhood reading.